Making Tax Digital (MTD) is a Government initiative affecting the way all taxpayers deal with their tax affairs in the digital age. The aim of this new legislation is to improve efficiency and ultimately to make the tax system operate in “real time “. As of 1 April 2019 any business above the VAT threshold will be required to keep their records digitally and provide quarterly VAT updates. This will affect more than 1.2 million VAT-registered UK businesses. HMRC has advised that all other taxes for businesses and individuals will not come under the new regime until at least April 2020. However, there is a growing expectation that by April 2020 quarterly reporting will be required for most UK businesses. Under MTD, those affected will need to keep track of their financial affairs – income and expenditure - digitally. Contact us if you would like more information on cloud based systems to help you, or if you would like to speak to one of our team to see if you are MTD ready. The government initiative is set to modernise the tax system in the UK with the aim of being one of the most digitally advanced tax adminstrators in the world. Each cloud-based solution provider is working closely with HMRC to comply with MTD requirements. This is to make it easier for individuals and businesses to gettheir tax right first time and avoid tax losses through errors. As of April 2019, any business above the VAT threshold will be required to keep their records digitally and provide quarterly. 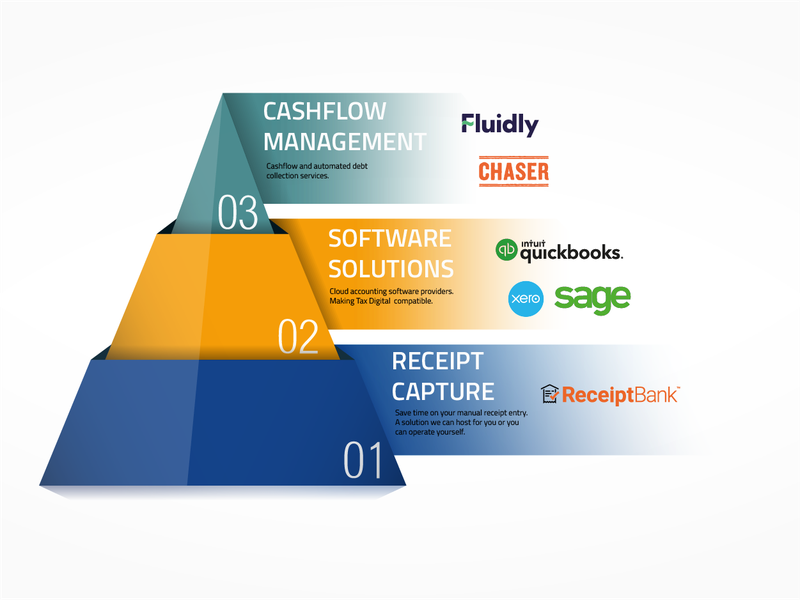 Is your accounting software compatible? We are platinum partners with all leading cloud accounting software providers, this allows us to provide you with bespoke solutions to meet the needs of your business.